Electronic and Tech Gadgets have become the part of the human life. There are numerous Electronics and Tech Gadgets are available in the market which you can purchase for yourself and can also gift them to your friends, families and loved ones. Christmas Holidays are near and many other people also celebrates their Birthday’s, Wedding Ceremony etc. everyday so we are summarizing the Top Ten (10) Coolest Electronics and Tech Gadgets to Send as Gifts on Christmas, Birthdays, Weddings and on Other Party Events. 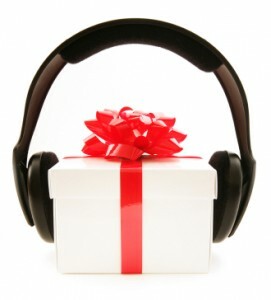 These tech gadgets will help you to decide and finalize list of your gifts shopping on any occasion. So let’s have a look at it. Specs: Available in black&slate, White&silver colours, WI-Fi and WI-Fi+Cellular models, 16GB memory, 7.9 inch display, dual core A5 chip, lighting connector, light sensor. iPad Mini was announced on 23 Oct, 2012 which costs $459. Apple stated that it is thinner, lighter and cheaper iPad with a small 7.9 inch screen. It is a portable device with 4:3 aspect ratio. Advanced Wi-Fi feature enables the faster connectivity which allows you to browse the web instantly. It is the modern digital which comes with the same sleek designs as its predecessor IXUS. Some of the interesting features of latest gadget are metal construction, colour swapping, powerful USB, self-timer facility, automatic image stabiliser, poster and miniature effect etc. This latest Walkman is available in different colours that offers user-friendly interface. It contains a 2 inch display with resolution of 240*320 pixels. It can support various file formats like MPEG4, AAC-LC, MP3, WMA, AVC etc. It is embedded with Virtual phone technology feature to produce quality sound. Specs: DLP technology, 1024*768 resolution, contrast ratio is 2000:1, life time of 3500hr in normal mode & 5000 hrs. For Eco mode, weighs 5.7 lbs. It is the portable multimedia projector that offers quality presentations. This 3D projector is suitable for classroom and meeting presentations. DLF engine helps in viewing brighter images than ever. It involves easy set up features with enhanced remote control techniques. Specs: 3.5gn laser sensor, 7 responsive buttons, lightening signals, 7 foot USB cable, quick response time 1ms. It is the powerful gaming mouse placed on a specifically designed mat. It has upgradeable software with four specially planned buttons. With this programmable software you can assign different functionalities to the buttons and can make profiles that suits your game and navigation speed. Specs: free from external noise interruptions, contains 3.5mm audio jack, flexible design, weighs 138.9gm. This is a perfect headphone which sits comfortably on the ears. It is a light weight device with improved audio sound. Adjust the headset in proper position and experience the quality audio which takes you to the new world. Specs: supports 1800 Hz frequency, USB connector, the Neodymium magnet system. This device will produce an excellent digital audio to listen your favourite songs, watch videos and movies. This is the award winning speaker for its intelligent design. You can get rid of using batteries. Specs: used for 4*5.5 tablet devices, 1024 pressure points permit both left and right click. You can write comfortably for longer durations without any pressure on the fingertips. Now make your work simpler with this flexible pen which has a strong grip. Touch the tip of the pen on any of the programmable keys which instantly connects to the internet. Specs: 5.5 inch display, 183 gm, 64 GB memory, 8MP camera, 890hr stand by time. It is the amazing smartphone developed by Samsung. It works on latest android operating system i.e. Jellybean. It was released in august, 2012. Within the few days of its launch 3 million handsets were sold across the globe.